Increase Your Power With Poise, The He Version is the updated version of Poise and Power, a book written by Christian D. Larson more than one hundred years ago. If you want to become more powerful and have more energy to accomplish your objectives in life, the energy-saving and energy-generating techniques in this book may inspire a change in the way you think about and produce and manage your life energy. Christian D. Larson was one of the New Thought authors and leaders who wrote about increasing your life force, creative visualization and personal power. Please scroll down to view the Table of Contents. 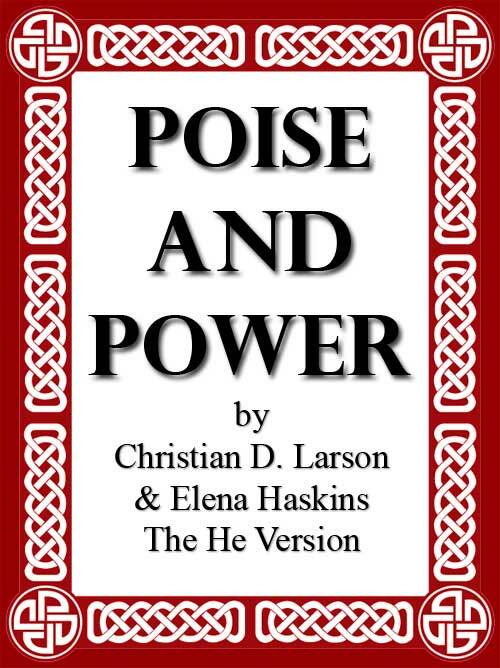 Poise and Power, The He Version by Christian D. Larson and Elena Haskins. This is the book from 1907 that was adapted to become Increase Your Power With Poise. For those who want to have both the original and the adaptation, please scroll down for the package deal. 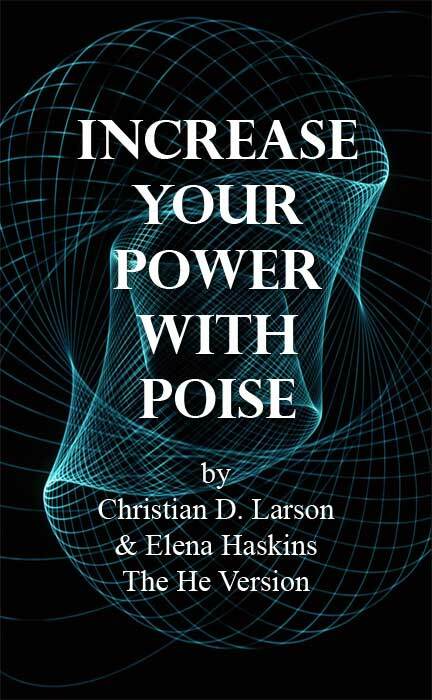 Both Increase Your Power With Poise, The He Version and Poise and Power, The He Version by Christian D. Larson and Elena Haskins. For purchase information, please send an email to elenahaskins@me.com and let me know that you are interested in purchasing e-books. Please include your telephone number for faster response. and let me know that you are interested in purchasing e-books.